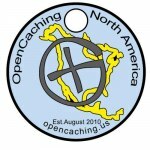 After many false starts the last couple of years, the OpenCaching North America Pathtag, 1st Edition, has finally been manufactured, and is on sale now! They can be purchased in lots of 20 for $20 from TheGeocoinStore.com under a “club fundraiser” program. You’ll note the page for our tag on their website references us receiving $5 for every 20 pack sold. However, that applies only to registered non-profit LLC’s, one of which we are not (although we have, and still are considering, that legal status), so that $5 is payable only in Pathtag cash. The OCNA team will of course use this Pathtag cash to buy more of our own tags, which we will generously distribute to promote the website. We will give you an example of that generosity right now. How about we give away 10 of them? Not to one person though, lets spread them around a little bit. We will have three separate winners. The 1st prize winner will receive 5 of our Pathtags; the 2nd prize winner will receive 3 of our Pathtags; and the 3rd prize winner will receive a paltry 2 of our Pathtags. These tags were designed by our Graphic Artist Patrick Williams, of course with plenty of design input from the OCNA team. We are very happy they have finally been produced. 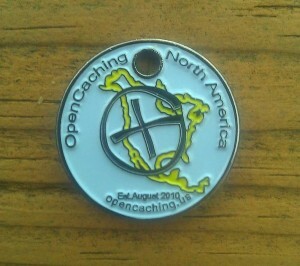 And hopefully, it’s the first of many Pathtags to come from OCNA. If you don’t win any, you can always buy some! 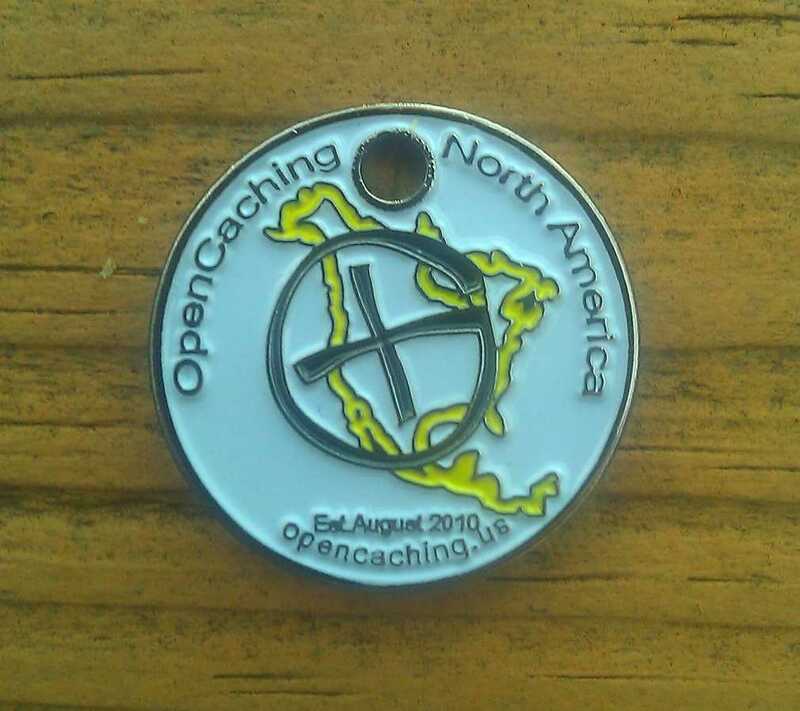 Speaking of which, we have also opened the Beta OCNA Swag Store to coincide with the release of the Pathtags. You can buy Clothing and assorted accessories (buttons, water bottles, drawstring bags, etc.) right now, with more items to be added in the future. To enter the Pathtag giveaway, fill out the form below with your name (as it says, “Geonick” is fine), and a valid email address. We will never use your email address, and the Google Document storing all the entries will be deleted after the contest. There are rules, of course, which appear below, in italicized text above the entry form. Rules: To enter, provide your name and email address in the form below. One entry per person, and one entry per email address. There are no Geographical restrictions, contest is open to anyone in the world. The contest begins upon publication of this blog post on Thursday, September 19th, 2013, and ends at 7:00 PM Eastern Standard Time on Friday, September 27th, 2013. Three winners will be chosen at random from the entries received. Winners will be notified via email, notification being sent from the email address opencachingnorthamerica at gmail.com (be sure to check your spam folders! ), and must respond within 48 hours, or the prize will be forfeited, and another winner will be chosen. Once accepted the prize is accepted, you must provide a valid mailing address, and the prize will be sent out via the U.S. Postal Service . EDITED: Contest has ended, entry form removed.